We have developed a comprehensive network of Sales Partners who help plan and manage our activities on a global basis. This is done either by territory or account dependent on the needs of the customer. Drew Cameron is an executive coach with a focus on Team Building, Business Scale Ups, Turnarounds and Talent Development. He is a Director of The London Sock Company and an Executive Coach and Facilitator with Youd Andrews. Drew has worked with Accenture where he was a Senior Managing Director in their Products Operating Group and then the Global Technology Account Lead for Accenture’s Global IT outsourcing arrangement with Unilever until 2013. His latter role with Accenture was as the CEO and Business Unit Lead for Software for Consumer Goods & Services which consisted of the CAS and Newspage software Products headquartered in Kaiserslautern and Kuala Lumpur respectively. Prior to Accenture Drew was Vice President with Computer Sciences Corporation (1997-2005) focusing on large, complex outsourcing transactions and the COO of CSC’s outsourcing relationship with BAeSYSTEMS. He was also a member of the CSC’s UK Board. He has also worked within the SEMA and BAeSYSTEMS Group running large engineering programmes. He was the Programme Director for YARD Ltd as the M&E Consultant to design and oversee the build of upgrades to CSB Faslane in readiness for Trident. He has a BSc in Mechanical Engineering and a PhD in Engineering. A certified practitioner in Myers Briggs Step I&II and Tracom’s Social Styles. He is also a mentor for The Poppy Factory. Ged is our delivery partner in the Asia Pacific Region. He has enjoyed a successful career over 40 years working for a number of large corporations, with a specific focus on knitting together commercial and IT strategies. He works with us to develop and deliver programmes, and his coaching ability ensures that all participants achieve their potential, enabling them to grow as individuals. Ged is based in Melbourne, Australia. Artur joined the Youd Andrews network in 2014, after having implemented the Youd Andrews Tops-Down approach successfully with his clients at Logica and CGI as Global Account Executive and Automotive Industry Lead for more than 6 years. 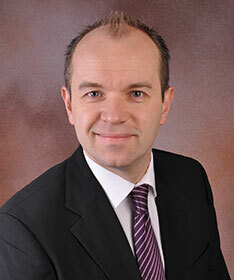 Artur is focused on supporting Youd Andrews in Germany, Austria and Switzerland. His specialty lies in the practical application of Top-Down & Bottom-Up Go-To-Market strategies, which he develops in close collaboration with “the market”. He combines his rich experiences from the many customer facing roles he held at Razorfish, Avinci, Unilog, Agitar, Coverity, Logica and CGI to create authentic and successful business relationships. Thinking differently, challenging situations from „the balcony“, „other creative perspectives“ and „standing in the shoes of the customer“, combined with his passion for root cause analysis and simplification, result in unmatched ideas to solve challenges in new, effective ways, with fun. Artur studied Arts, Multimedia Design, received an MBA from the University of Liverpool and is a passionate NLP Master. Ian is a Talent Assessment and Development Consultant and one of the co-founders of Redwood Talent Partners. He works with clients on leadership development, team performance and talent management issues, with a focus on competency development through design and delivery of executive assessment and development centres, coaching and mentoring programmes and C-level training programmes. The context for these assignments includes recruitment, mobility, support for high potentials and board level succession planning. Prior to his current role, Ian had a career with the Barclays Bank Group spanning over 25 years, living and working in the UK, Spain and France. He held a number of senior management roles in corporate and premier/international retail banking and wealth management and then specialised in strategy project management and segment development, with a focus on maximising cross-border business opportunities. Part of the Youd-Andrews CxO network since 2011, Ian has been involved in programme delivery across Europe and the USA, participating in business simulator projects run in English, French and Spanish. 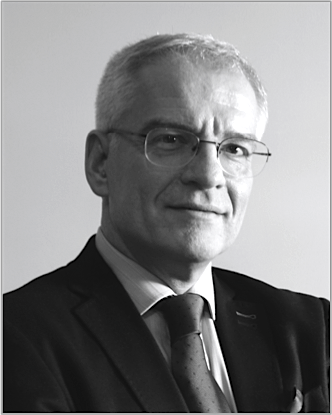 With the Redwood Talent Partners team, he supports the development of the Youd-Andrews business in France and Italy. Ian graduated in Economics and Spanish from Kingston University. He is currently a Director of the Franco-British Chamber of Commerce and Industry and a Trustee of several charities working with the British community in Paris. Álvaro is founder and Managing Partner of Boardsfera, a provider of Board-Level advice, Executive Programs and C-Level coaching and mentoring. With 25+ years of executive experience in the Services, Technology, IT and Telecom industries, Mr Plaza advises the boards of various international corporations since 2008, addressing Sales, Business Development and Leadership matters. He is also a board member of the Association of Friends of the Information Society in Spain. From 2001 till 2008 he served as CEO for Spain for Logica and became member of the Executive Committee of Edinfor in Portugal responsible for the Telecom business. Prior to this he was VP International Business Development for Telefónica Data between 1999 and 2001 and led the entry strategy in Latam and Europe. Mr Plaza also held various international management positions in Alcatel in Germany, Poland, Argentina and Spain. Since 2009, Youd Andrews and Boardsfera partner in the Executive Education domain to develop and fulfil programs for global clients in various geographies, languages and industries. 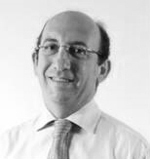 Alvaro is Bachelor of Science Physics and Executive MBA by IESE. He also holds a coaching accreditation by the International Coaching Federation. His hobbies include golf as an amateur player and short-story writing, he built Relatarium a successful short-stories’ portal open to the public.